O Estado de S. Paulo (Portuguese pronunciation: [u isˈtadu dʒi sɐ̃w̃ ˈpawlu] , The State of São Paulo), also known as O Estadão or simply Estadão, is a daily newspaper published in the Metropolitan region of São Paulo, Brazil, and distributed mainly nationally. It is owned by Grupo Estado, a holding company which publishes the Jornal da Tarde and owns the radios Rádio Eldorado AM and FM and the Agência Estado, largest news agency in Brazil. Jornal da Tarde, often abbreviated JT, was a daily newspaper in São Paulo, Brazil. The paper was published by Grupo Estado, the owner of other prominent Brazilian news media such as O Estado de S. Paulo and Rádio Eldorado. It was founded in 1966 by the journalist Mino Carta in an attempt to introduce new journalism to Brazil. It has the second largest circulation in the City of São Paulo, only behind Folha de S.Paulo , and the fourth largest overall in Brazil. It is nicknamed the Estadão (lit. "Big State"). The journal was founded relying on republican ideals on January 4, 1875, and was firstly called A Província de São Paulo  ("The Province of São Paulo"). Folha de S.Paulo, also known as Folha de São Paulo, or simply Folha, is a Brazilian daily newspaper founded in 1921 under the name Folha da Noite and published in São Paulo by the Folha da Manhã company. In a 2007 ad campaign, the motto of the newspaper is Estadão, o jornal que pensa ÃO ("Estadão, the newspaper that thinks ÃO [big]"). -ão is a Portuguese augmentative suffix. 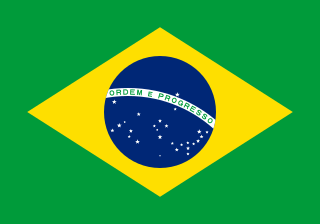 The term Província ("Province") was preserved until January 1890, one month after the fall of the monarchy and the regime change to the republican institution in Brazil. Although the newspaper supported the change, it showed that it was completely independent, refusing even to serve its interests to the ascendant Republican Party of São Paulo. Current symbol of the newspaper. When the then editor in chief Francisco Rangel Pestana left to work in a project of the Constitution, in Petrópolis, the young editor Julio de Mesquita effectively took on the direction of Estado and initiated a series of innovations. One of the innovations was the engagement of the agency Havas, back then the largest in the world. Petrópolis, also known as The Imperial City, is a municipality in the Southeast Region of Brazil, located 68 kilometres (42 mi) northeast of Rio de Janeiro. According to the 2010 National Brazilian Census, Petrópolis municipality had 305,917 inhabitants that year, up from 286,537 inhabitants at the last census. Besides being the largest and most populous city in the Fluminense Mountain Region, the city also has the largest GDP and HDI in the region. Petrópolis is considered the safest city in the state of Rio de Janeiro and the sixth safest city in Brazil, according to IPEA classification for medium and large cities. The Estadão pioneered the newspaper selling system in 1875, when it was sold on the streets, instead of the subscription-only system adopted by all other newspapers in Brazil before. As first, this new way of selling motivated many jokes and mockery, but ultimately all rivals adopted the same system. Today, newspapers in Brazil are sold in small street newspapers/magazines shops, and by single sellers located in main avenues of the biggest cities. Back in the 19th century, the Estadão was sold by only one man, a French immigrant, who carried his newspapers in a bag, while riding a horse, and announcing himself with a cornet. In the end of the 19th century, the Estado was already the largest newspaper in São Paulo, overcoming the Correio Paulistano . Property of the Mesquita family since 1902,  the Estado supported the Allied cause in World War I, suffering reprisal from the German community in the city, which removed all advertising announcements pertaining to them from the newspaper. Despite this, the Mesquitas maintained their eidtorial position. During the war, the afternoon edition of the newspaper began to circulate around the country. It was known as Estadinho (lit. "Little Estado"), directed by the then young Júlio de Mesquita Filho. With the death of the old director of 1927, his son Julio de Mesquita Filho assumed the directory along with his brother Franscisco, the latter taking care of the financial parts of the newspaper. Headquarters of the newspaper, on the Marginal Tietê. Years later, with the appearance of the "Estado Novo", the newspaper maintained the opposition to the regime and, in March 1940, it was invaded by DOPS (part of the government that controlled and restrained people and movements that were against the regime in the Estado Novo) and the paper was altered by them to state that, with absurdity and mockery, "guns were arrested" in the redaction. The newspaper was initially closed and afterwards was confiscated by the dictatorship, being administrated by DIP (Department of the Press [Port. "Imprense"] and Propaganda) until 1945, when the Estado was given back by the Supreme Federal Court to its legitimate owners. The numbers published during this governmental intervention are not considered part of the actual history of the paper. On November 13, 1968, the Estado editor was arrested because of Mesquita Filho's refusal to eliminate from the section Notas e Informações ("Notes and Information") the editorial Instituições em Frangalhos ("Institutions in Frazzles"). where he denounced the end of any normal and simple democratic appearance. From then on, the newspaper began disputing censored editions of its news by the Brazilian Federal Police, unlike other national newspapers that accepted to be censored. In the 1970s, the newspaper ran into debt because of the construction of its new headquarters by the Tietê river and went through a financial crisis, competing with a new standard of journalism represented by Folha de S. Paulo. In 1986, the Estado hired the renowned journalist Augusto Nunes to be its chief editor. He updated the news bulletin of Estado and endeavored a series of reformed graphics, that would result in the adoption, in 1991, of colored printing in daily editions. Before that, Estado was not issued on Monday and holidays. In 1996, Julio de Mesquita Neto died and Ruy Mesquita, his brother, became the new director. Previously, Ruy directed Jornal da Tarde, owned by the Estado network. After an unsuccessful experience in the area of telecommunications, the Estado network passed by a restructuring in 2003 and most of the Mesquita family lost their directing roles. Massive layoffs also occurred. After balancing its budget, the Estado endeavored new graphic reformulation in October 2004. It also created new notebooks and received many prizes for excellence in graphic display. Other than the newspaper O Estado de S. Paulo, the Estado network has control over the OESP Mídia (1984), company that runs advertisements. Owned by Grupo Estado are the radios Rádio Eldorado AM and FM (1972) and the Estado Agency (1970), largest news agency in Brazil. Jornal da Tarde (1966)  was discontinued  in 2012. In 2013, another big reorganization  followed. Employees were laid off, the paper reduced its numbers of pages by canceling some sections and mixing a others. The Prêmio José Reis de Divulgação Científica is an annual honor awarded by the Brazilian Council of Scientific and Technological Development (CNPq) to the institution, media organization, publication, or individual who most contributed to the dissemination and public awareness of science and technology in Brazil. It is thus named in honor of Dr. José Reis, a Brazilian biologist and science writer who was one of the pioneers in the field. The South is My Country is a separatist movement that claims the independence of Brazil's South Region, formed by the states of Paraná, Rio Grande do Sul and Santa Catarina. The group claims the region is under-represented by Brasilia. Samuel Wainer was a Brazilian journalist and author. Wainer was born into a Jewish family from Bessarabia, more precisely in the Edineț District, then part of the Russian Empire. His family imigrated to Brazil in 1912, settling in São Paulo. He would later found and direct the Diretrizes magazine and the Última Hora newspaper. He was married to Danuza Leão, Brazilian journalist and model, sister of Nara Leão. They had a son, Samuel Wainer Filho, who was also a journalist. He died in 1984 in a car accident with a camera operator. Wainer also had more two children: plastic artist Débora "Pinky" Wainer and film producer Bruno Wainer. The 1st Grande Prêmio Cinema Brasil ceremony, presented by the Ministry of Culture of Brazil, honored the best audiovisual productions of 1999. It took place on February 12, 2000, at the Palácio Quitandinha in the city of Petrópolis, Rio de Janeiro. During the ceremony, the Ministry of Culture presented the Grande Prêmio Cinema Brasil in 17 categories. The ceremony, televised by TV Cultura and Televisão Educativa, was directed by José Possi Neto and hosted by actress Regina Casé. The Nikkey Shimbun or the Jornal do Nikkey is a Japanese language newspaper published in Liberdade, São Paulo, Brazil. It is one of two Japanese newspapers published in that city, with the other being the São Paulo Shimbun. As of 2014 the head of the company is Raul Takaki. As of 2013 the chief editor is Masayuki Fukuzawa. The São Paulo Shimbun was a Japanese-language newspaper established in 1946 and published in São Paulo, Brazil. It was one of two Japanese-language newspapers in the city. On January 1, 2019, the newspaper printed its last edition, with no specific plans to continue its operations online. Tatiana Belinky (March 18, 1919 – June 15, 2013) was a Russian-born Brazilian children's writer. She wrote over 250 books for children. Events in the year 1942 in Brazil. Ivo Patarra is a Brazilian journalist and writer. He has worked for newspapers Folha de S. Paulo, Folha da Tarde, Diário Popular and Jornal da Tarde. Jornal A Tarde, widely known as A Tarde, is a daily newspaper published in Bahia, Brazil. The paper was founded by the journalist and politician Ernesto Simões Filho on 15 October 1912. It is currently the oldest circulating newspaper of Bahia, and the largest of the Brazilian regions North and Northeast. Fernão Lara Mesquita is a Brazilian journalist. He is a director of Grupo Estado, which publishes the daily newspaper O Estado de S. Paulo, the largest newspaper in Brazil, which has been in the Mesquita family for many generations. Grupo Estado also publishes Jornal da Tarde, owns a radio network, and owns Agência Estado, Brazil's leading news agency. Mesquita is also the former opinion-page editor of O Estado de S. Paulo. Felipe Machado is a Brazilian journalist, writer and musician. He is currently the Communications Director for Worldfund, a nonprofit organization with educational projects. His journalistic career includes leading positions at a few of Brazil’s most relevant media companies, such as ‘O Estado de S. Paulo’, ‘R7’ and ‘Diário de S.Paulo’. As a writer, he produced 2 novels, 2 non-fiction works and an award-winning children’s book. In music, he started in 1985 as the guitarist and co-founder of the heavy metal band Viper, playing in all the band's releases and concerts until recent days. In 2016, he also released his first solo album as singer, songwriter and guitar player named FM Solo. ↑ Sacchitiello, Barbara (26 May 2015). "Circulação dos cinco grandes jornais cresce". Meio&Mensagem (in Portuguese). Retrieved 26 May 2015. ↑ "Espaço Aberto", O Estado de S. Paulo, 17/2/2008, page A2. ↑ "Jornal da Tarde deixará de circular após 46 anos; Grupo Estado fala em reduzir custos - Notícias - Cotidiano". Cotidiano (in Portuguese). Retrieved 2017-02-23. ↑ "Jornal O Estado de S. Paulo anuncia reestruturação e cortes | EXAME.com - Negócios, economia, tecnologia e carreira". exame.abril.com.br (in Portuguese). 2013-04-08. Retrieved 2017-02-23. ↑ http://www.compolitica.org/home/wp-content/uploads/2013/05/GT08-Jornalismo-politico-EleonoraDeMagalhaesCarvalho.pdf Eleonora de Magalhães Carvalho (2013). «Imprensa e poder: politização ou partidarização dos jornais brasileiros» (PDF). 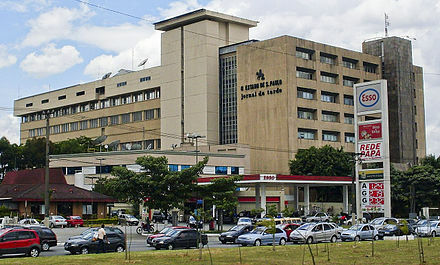 Universidade Federal Fluminense. ISSN 2236-6490.